A builder isn't just a contractor you call up at the last minute. Builders are an important partner - after all, buying land and building a house is a huge undertaking that should set you up for long-term comfort and happiness. With such a vital role in the project, your builder must be in complete sync with you to get the best outcome. But where do you start? Let's go over some steps to help you narrow the choice down until all your left with is your ideal building partner. It's easy to get excited about house designs and skip straight to this step, but hold on a moment and ensure you have your ideal lot first. You see, land is such an important investment. It affects your quality of life, as well as your home's future resale value. If your lot is in a safe, friendly community with local amenities, access to transport and even nearby employment hubs, you'll find life more convenient and prospective future home buyers will be more interested in your property. Not all builders are made equal. Many have a specialty, such as aesthetic style, building materials, and so forth. Some building companies also offer optional extras like finance, or deals for first-time buyers. Research local builders and make a list of everyone who's a good fit for your needs (more on this in point three below). Think about the size of house you want, your budget, and any other important extras, such as eco-friendly building materials, a certain level of energy efficiency, or a particular aesthetic. How to find good builders: First, visit your local developer display villages to find their preferred builders. Nothing beats seeing and feeling a home in person! If you want to do more research, jump on Google and search local companies to examine their offerings. Your friends and family members may also have recommendations. Seek builder recommendations from friends, family or other professionals when creating your list. Are they licensed? Unlicensed builders could cause problems down the track. If you want to confirm that they are registered, talk to the Housing Industry of Australia or Master Builders of Australia. Are they insured, and does your home come with a warranty? At minimum you would want public liability insurance and home warranty insurance (in Victoria, this is known as domestic building insurance). Make sure you read the small print to ensure you know the terms and conditions. How many homes have they built? More experienced builders will have extensive buying power and a greater industry knowledge, which could save you money. Do they offer financial help? How much customisation do they allow, and what costs are involved (if any)? Will the contract include provisional sums (estimates) or fixed costs? Can they meet your preferred schedule? A good question to ask your builder is whether their contract includes fixed costs or provisional sums. Check out display villages and chat to their reps: Again, you can learn a lot by walking around a display home or village and talking to the builder's reps. You'll see the final look, feel and quality, and get an idea as to what their company will be like to work with. This is also another chance to ask questions. Look at reviews online: Most building companies will have reviews on Google and social media. These past customers could reveal hidden insights about the company you're investigating. That said, you must always take online reviews with a grain of salt in case they are exaggerated or false. If in doubt, ask more questions. Get a quote from each of your preferred builders and examine their prices. Look for inclusions and exclusions to triple check you'll get what you've asked for. After that, examine what prices are fixed and which are estimates as provisional sums could end up costing more down the track. Note: Cheaper is not necessarily better. If one quote is significantly lower than the others, examine whether an error has been made, or a key design request omitted by mistake. It might be completely fine, but again, it doesn't hurt to check or to ask questions. When you are ready to take the first step on your land buying, home building journey, choose Satterley. 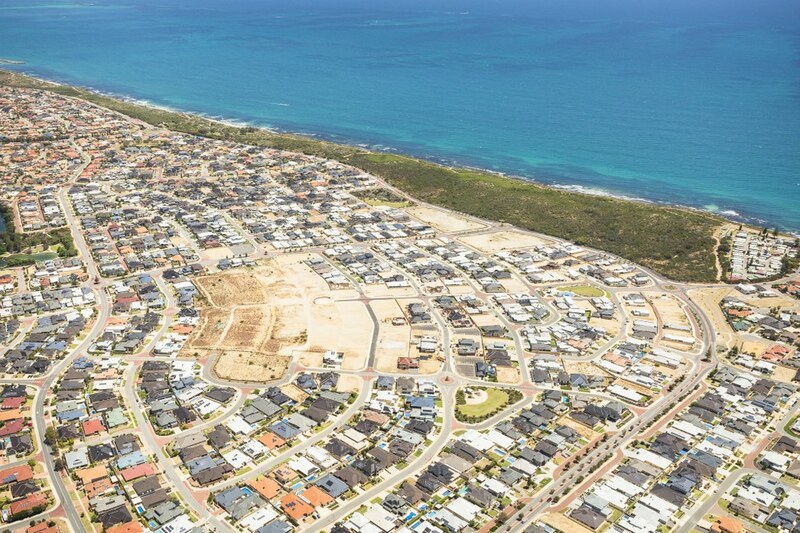 We've developed beautiful masterplanned estates across Western Australia, Victoria and Queensland, taking home over 100 industry awards in the process. Comfort, convenience and value are at the heart of our communities, with developments built near existing and future transport links, amenities and employment areas. To find the perfect land for your dream home, check out our lots for sale today.